My wife Carol told me about Philip Seymour Hoffman’s death-by-heroin at the age of only 46. Her voice trembled. Not a follower of Hollywood overall, she has tracked Hoffman through any and every movie he appears in. “My favorite actor,” she says simply. For me, Hoffman’s darker roles leave me relatively uninterested, even while I note his stellar ability to play them. It is his ability to reflect vulnerable love in movies such as “Love, Liza” and “Magnolia” that I most remember him for. The latter movie in particular devastated me when I saw it the first time (I’ve since seen it — and will see it — often). The movie is rough, almost angular in its dialogue. 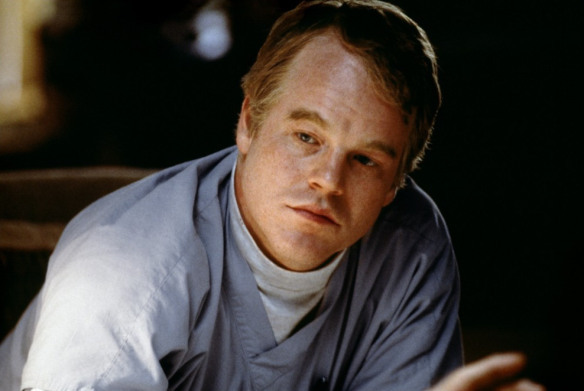 F-bombs rain from the sky almost as frequently as do other things starting with f. Yet “Magnolia” captures hope and love, even faith, in the gentle nurse character played by Hoffman. He is a Christ figure that is truly heroic… heroic in the sense of being demeaned, ignored, yet always absorbing the grief and pain of others and reflecting back compassion and gentle kindness. I don’t know who Philip Seymour Hoffman was as a person. But his sister has long been a Christian, and Hoffman has said kind things about Christians and a faith he did not reject. He has been in Broadway plays about Christ, and also the disturbing and fascinating movie, “Doubt,” in which he plays a Catholic Priest.